A safe, exciting and very fun toy to play with - the Slex Rodeobull will be one of your baby's favourite toys. They will love being able to steer the front and the back of the Rodeobull at the same time thanks to its incline technology. Hours of fun guaranteed! Why should I choose the Slex Rodeobull? Made from only the best materials, the Slex Rodeobull is a steady ride on toy. The included detachable strap means the Slex Rodeobull can be used as a ride alone toy or you can pull your child along as they enjoy the ride. Slex Rodeobull has a strong plastic body and long board wheels. It requires no batteries and is very lightweight. Who is the Slex Rodeobull suitable for? 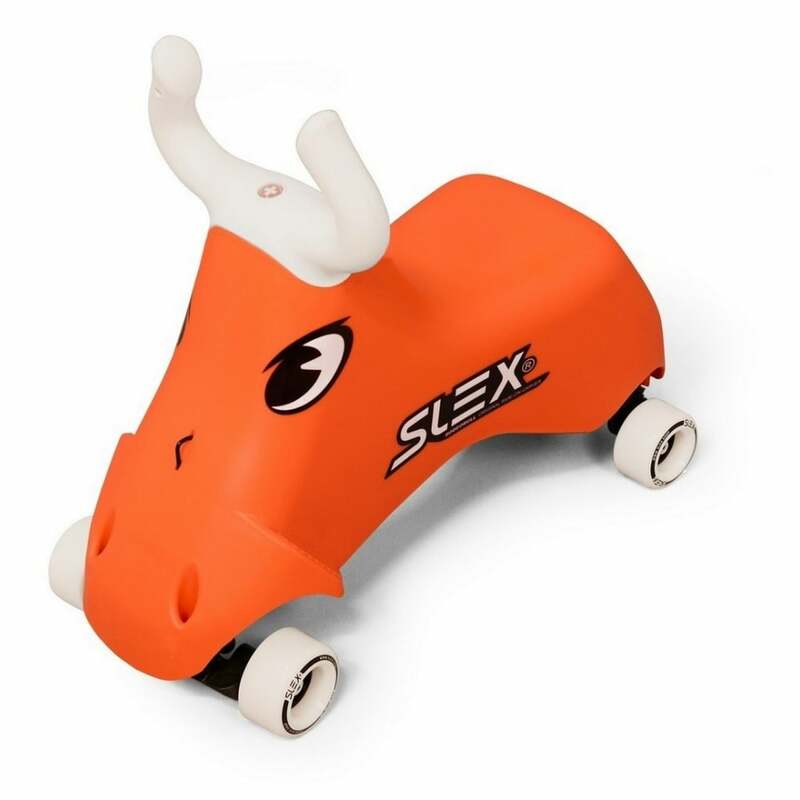 Slex Rodeobull is suitable for children aged 2 - 7 years with a 35kg maximum use.